The Decaf House Blend was blended and roasted for you by Klatch Coffee. The perfect decaffeinated house coffee blend. This four bean blend is constructed with some of the world's finest Central and South American, and Indonesia coffees. 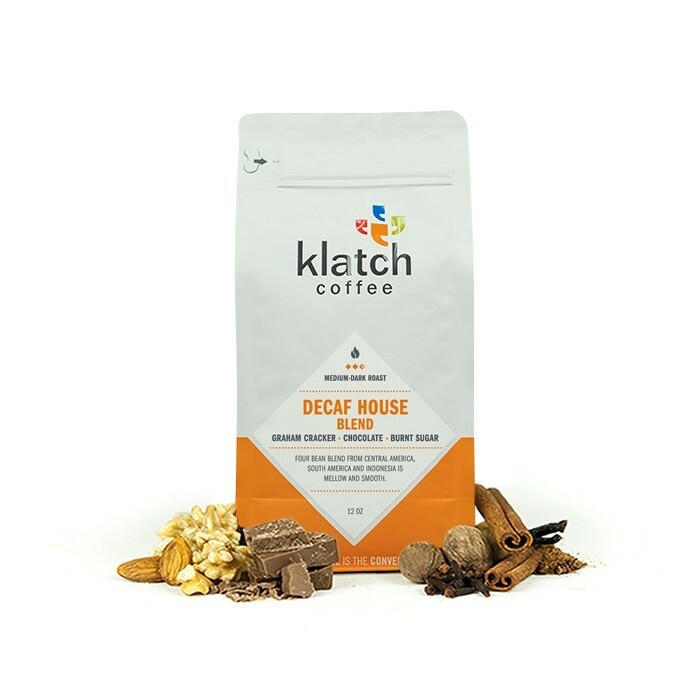 Decaf Klatch House Blend executes the perfect balance and richness to create a quintessential profile of caramelized sugar, graham cracker and chocolate. Good, but might be a little too dark for me.